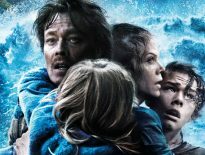 Principal Cast : Michelle Willliams, Christopher Plummer, Mark Wahlberg, Charlie Plummer, Romain Duris, Marco Leonardi, Timothy Hutton, Andrew Buchan, Stacy Martin, Guiseppe Bonifati, Kit Cranston, Maya Kelly. Synopsis: The story of the kidnapping of 16-year-old John Paul Getty III and the desperate attempt by his devoted mother to convince his billionaire grandfather Jean Paul Getty to pay the ransom. It’s a shame that All The Money In The World will forever be a film tarnished by the sudden removal of star Kevin Spacey following allegations of sexual harassment and bullying in the wake of the Harvey Weinstein scandal that rocked Hollywood late in 2017. 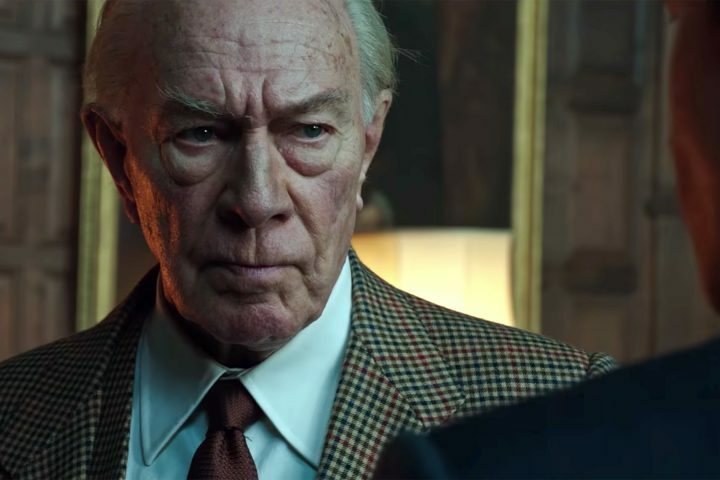 In what was a remarkable feat of virtuoso commitment by director Ridley Scott, Spacey’s role of the elder John Paul Getty was edited out of the film at the last possible minute, with Scott’s original choice for the part, Christopher Plummer, replacing the disgraced actor. Plummer, who would shoot his scenes for the film merely weeks before its wide theatrical release, was handed a Best Supporting Actor nomination at the Academy Awards for his efforts. Salacious viewing of this film stems from being able to spot where Spacey would have been, but All The Money In The World deserves to be viewed as the artistic thriller Ridley Scott intended it to be, without the baggage of scandal around it. 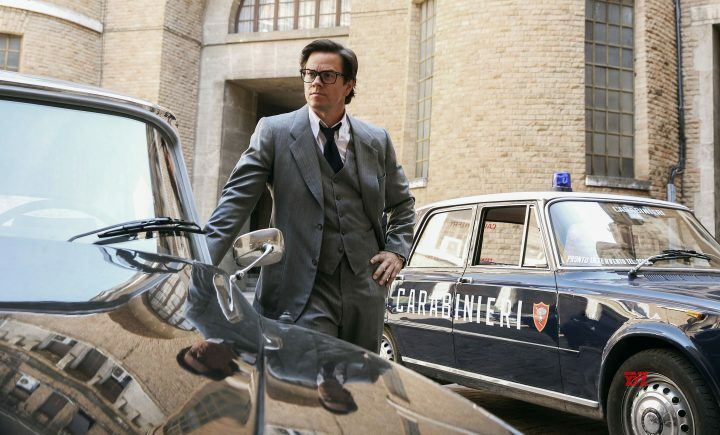 In 1973, wealthy businessman John Paul Getty (Christopher Plummer – The Sound of Music) learns his grandson, Paul (Charlie Plummer – Boardwalk Empire) has been kidnapped in Rome, and held for a ransom of $17 million. Paul’s mother, Gail Harris (Michelle Williams – Suite Française) is desperate to get him back, and beseeches her wealthy former father-in-law to pay the money. Getty refuses, fearing copycat crimes will be carried out in future, and instead sends negotiator Fletcher Chase (Mark Wahlberg – Patriot’s Day) to get his grandson back. As the stakes rise, time passes and Paul’s physical wellbeing suffers, the gamble between paying and standing firm tightens the race for the young man’s survival. Ridley Scott returns to one of his favourite haunts, Italy, for the first time since his injudicious sequel to Silence Of the Lambs, 2001’s Hannibal. 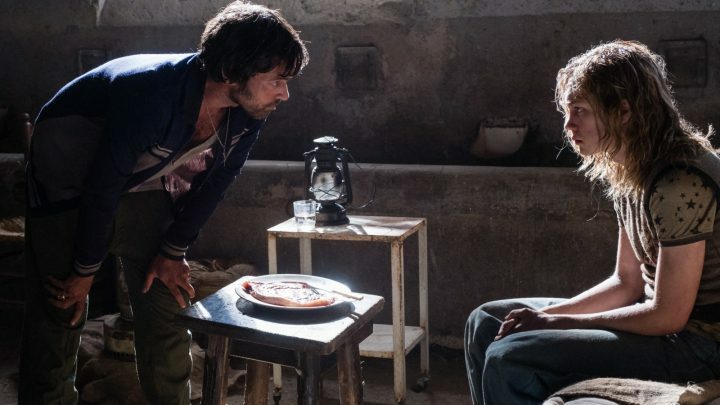 Period era Rome, as well as rural Italian countryside, makes for a luscious backdrop in this family drama played out large on the world stage. Wealth – the love of money – makes people do all manner of awful things, and greed is a primal motivator for violence. The kidnapping of J Paul Getty III in 1973 made world headlines, and is reenacted here with Scott’s scrupulous brutalism in full flight. 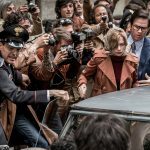 Like most of his films rooted in reality, All The Money In The World feels torn from the headlines and suffers no fools gladly. Complex relationships abound amid the subterfuge shenanigans, with the miserly Getty Sr a particularly prideful screen villain (yeah, Plummer seems to relish the role of a man who would happily “loan” his grandson his own ransom money…) and Scott’s precise camerawork captures the heated frisson of David Scarpa’s screenplay with acuity. As with anything touched by Ridley Scott, All The Money In The World’s production design is nothing if not first class. From the period era technology and infrastructure, to the costume design and cinematography, everything about this film feels lifted directly from the gritty, grainy films of the 1970’s, filtered through Scott’s undeniably keen eye for detail. Although fictionalised to a degree, the fact this story actually occurred at all is the reason it’s so terrifying and dramatic. Getty Sr’s infamous Scrooge-like motivations for not paying his grandson’s ransom are emotionally resonant for those with enormous wealth, but for those of us with low or medium income streams his hubris and arrogance might seem frustratingly mean. 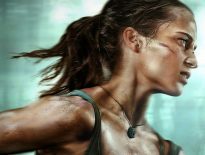 Gail’s role in this parallels Mel Gibson’s in Ransom, that of the harried parent who would literally do anything to save their son – short of going on television and suggesting the ransom would become payment for the kidnapper’s hit. Williams is excellent in the role, giving Gail and her strained relationship with Getty Sr – she married and subsequently divorced his son, J Paul Getty Jr – a sense of urgency and emotional impotence in the face of such malignancy. Plummer probably deserved his Oscar nomination for many and there’s a strong argument for his inclusion, but Plummer could play this kind of role in his sleep. Mark Wahlberg continues to make solid rough-diamond characters work, as Fletcher, who enables Getty Sr’s overlording of his former daughter-in-law through pressure with financial assistance coming at a terrific ethical cost. Wahlberg is solid indeed. Charlie Plummer (no relation to his older co-star, I might add) spends a lot of the film looking a lot like Caleb Landry Jones in American Made, to the point I was actually sure it was him in the part, until the credits listed otherwise. Oh, and it should be noted that the actor playing Getty Sr’s son and Gail’s ex-husband, Andrew Buchan, looks the spitting image of a younger Kevin Spacey, which would have played better had Spacey still been in the film. 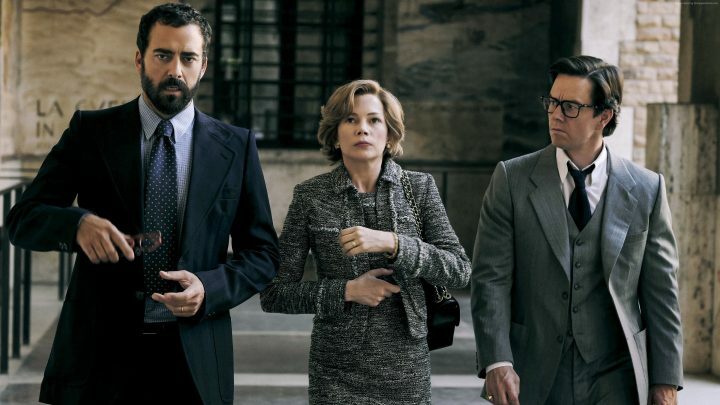 All The Money In The World is a gritty, grimly depicted slice of virulent manifesto against incredible wealth. Wealth breeds greed and the circle never ends; Ridley Scott’s orange-hued kidnap thriller plunges into realism and historical fact and holds us, breathless, under the surface of its allure for a very long time. In years to come I would think the more lurid aspects of this film’s production will fade to grey, because this film is well able to stand on its own. Taut, well directed and across the board acted with efficiency, All The Money In The World is Scott more than making up for The Counselor. It’s terrific without being a blockbuster, and tells a truly remarkable story without ostentation or ambivalence.